To prepare this recipe, preheat your oven to be 450 degrees. 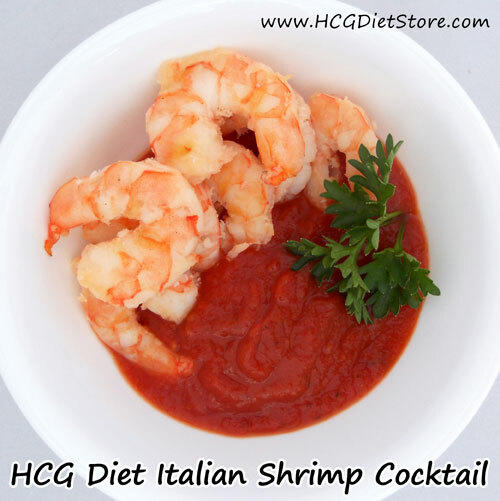 Put the shrimp and tomato sauce into a shallow oven-safe dish, bake uncovered for 8 to 10 mins. In a small pan, combine chicken broth, garlic, salt, pepper and parsley and cook over low heat for 5 minutes, stirring half way through. Pour into a small bowl and top with shrimp, once removed from the oven.